or any other state in the US. Only so that I can have access to all the indie polishes there are as well as avoid the high shipping charges! I’ve been eyeing some polish pots from Wonder Beauty Products since forever but I still can’t bring myself to buy them because of the shipping charges. She ships them for USD10 per item and it increases by USD8 per item! This is one of the most expensive shipping charges I have ever seen so far! And it’s not even on all the products in her shop =/ I do know, from experience, that international shipping for a small box is just 16.95USD. I know, I know, who am I to complain right? Of course, if you live in the US you can pop by Wonder Beauty Products on Etsy to see more of her wonderful polishes and follow her on Facebook for updates and offers! 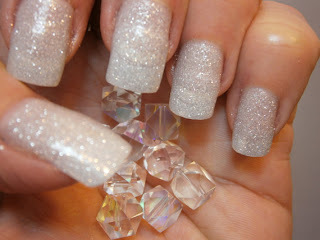 I topped off my previous mani with some some really AWESOME glitter polish! essence blue addicted is an awesome polish. 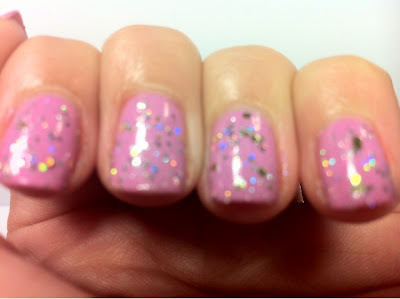 Apparently it is a dupe for a Deborah Lippmann’s Accross the Universe. Well, there is no way I can get DLs where I am so needless to say I am over the moon with this awesome purchase! The photos below are 2 coats choose me! followed by 3 coats of blue addicted. 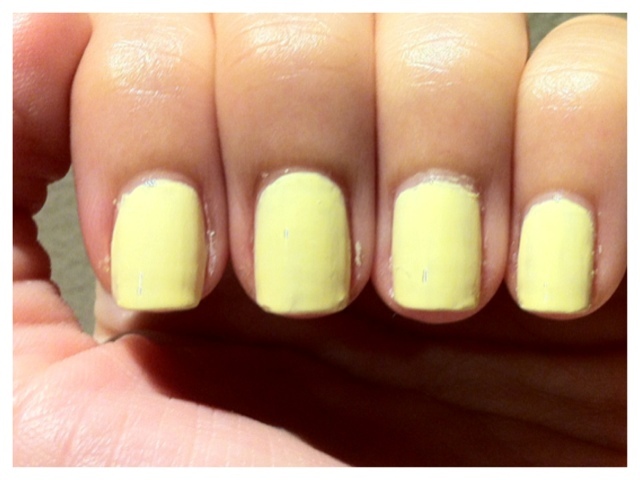 I did a quick mani with essence choose me! 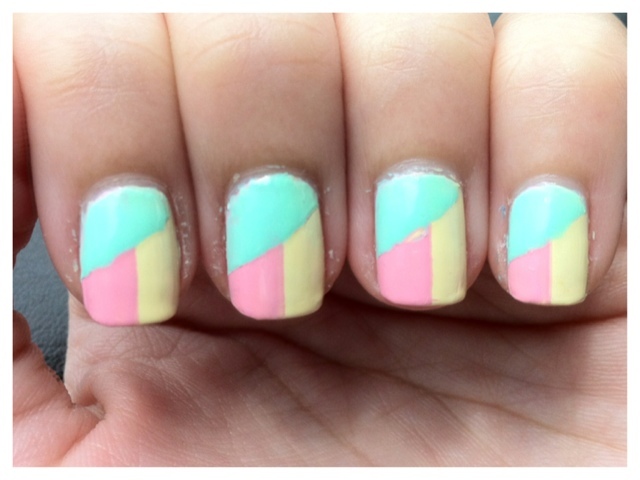 way back when my nails were much much longer. Choose me! 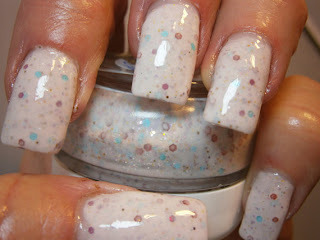 is a dupe for the teal glitter from OPI Summer Collection 2010, Catch Me In Your Net. Choose Me! is a teal metallic foil with a very slight duochrome. When the lighting is just right, this color can look slightly more yellow/green. If i remember correctly, the photos below are of two thin coats. You can see that there is a VNL there. 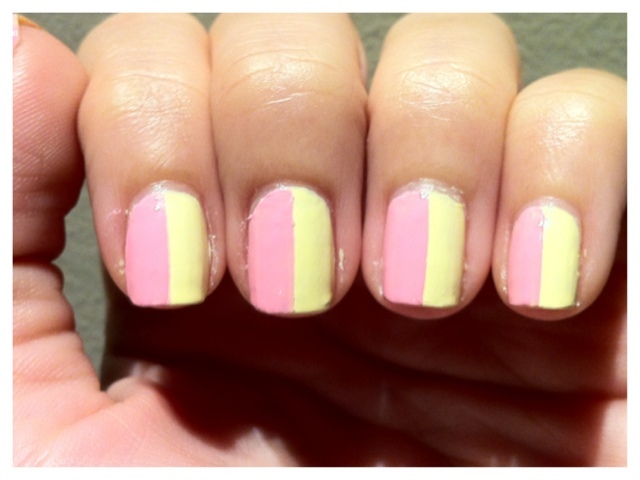 Usually I would top it off until it is opaque but I had other things in mind for this mani! 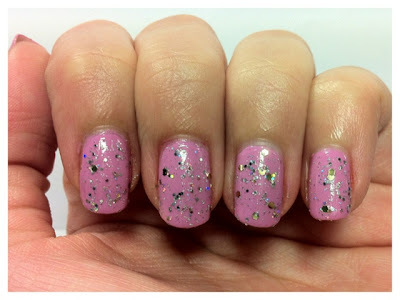 I got a polish from The Hungry Asian for you today! This was actually taken quite a while ago. I don’t know how it never made it to the blog. 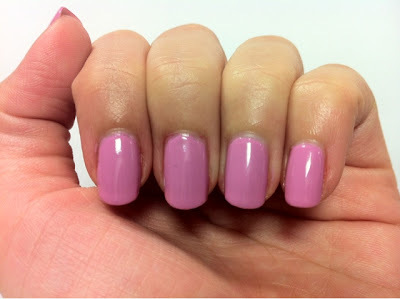 I bring to you one of my most used polishes in my stash – Lucky Lucky Lavender from the OPI Hong Kong Summer 2010 Collection. If you ask me, this polish is more pink than lavender to me. I actually got this thinking it was a pink and for months I referred it to as my pink polish. LOL. I still like to call it my pink polish, although after staring at my nails for the past day I can’t deny that it does lean towards the violet spectrum quite a bit, more obviously so in this photos. 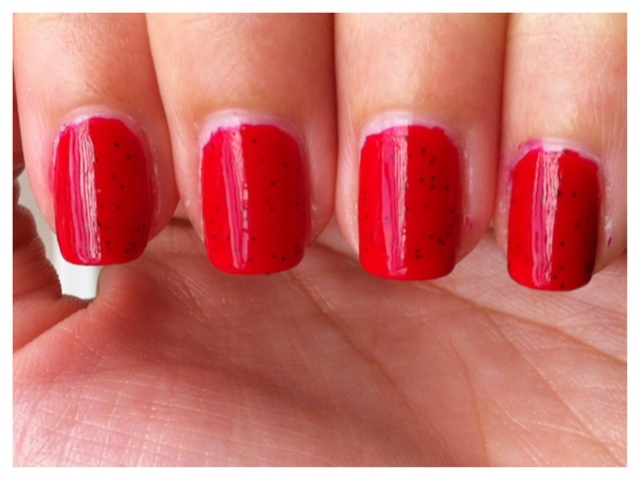 LLL applies nicely in 2 coats, the formula is great and the color doesn’t change much after 2 coats unlike the bottle Big Apple Red that I own (will do a post on this soon!). 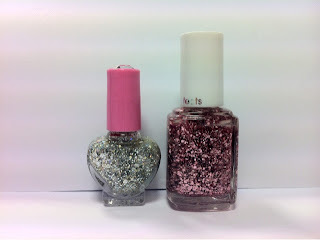 As usual, I can’t just leave a polish be, some glitter is definitely needed here! I am kinda torn between The Hungry Asian’s Mumbling or Essie’s A Cut Above. Both untrieds mine you! Which would you choose? Come back tomorrow to see which polish I picked.